1. Boil 5 big bowls of water. 2. 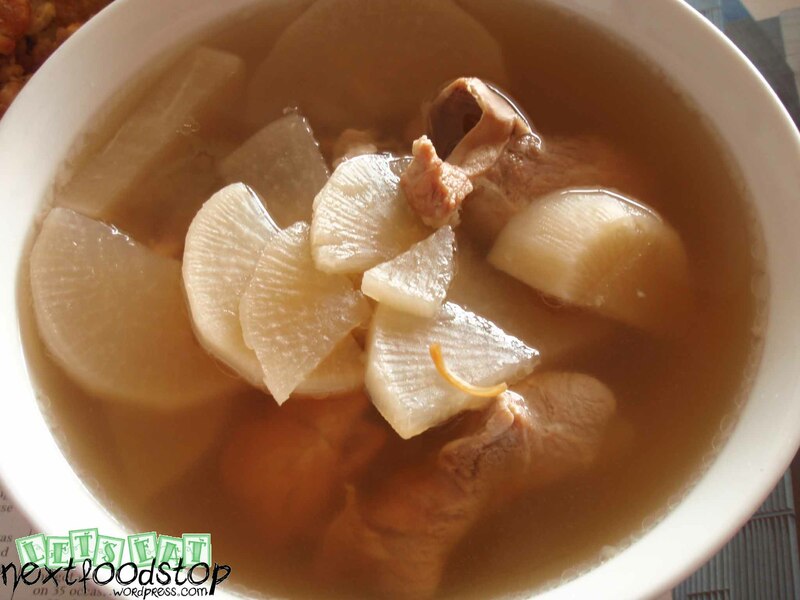 Add in roasted pork bones (烧猪骨), dried octopus (干鱿鱼), dried oyster (干耗) and dried scallops (干贝) into the water to boil together. Alternatives are pork ribs or chicken bones. Boil under gentle fire for one hour. 3. Add pork into the boiling soup and boil for another hour. 4. Add in the white radish and boil for another hour or so. 5. Season according to your tastebuds – salt, soy sauce, pepper, chicken stocks.